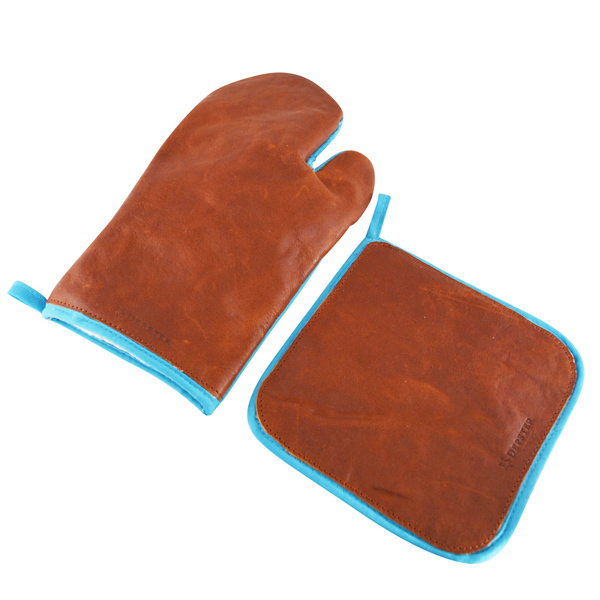 Leather looks really nice and vintage but is also known for its fire-proof reputation. 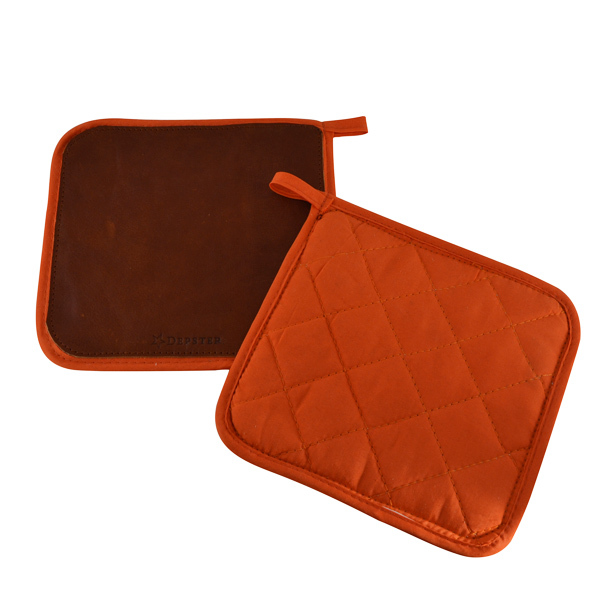 We optimised modern heat proof materials with beautiful leather in both the oven glove and oven mitt. 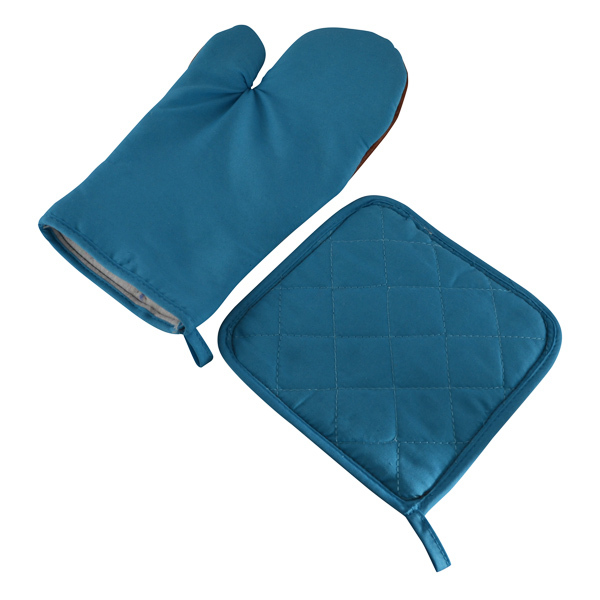 You can chose any color fabric and we will customise the glove and or pot holder for you. Do you need some real customising? Do you wish to order this item in any other colour, please inform us and follow customising procedures: Do you need some real customising by Depster? Email us hose your colour of leather. Sounds difficult? We can help you by sending samples first!